Finesse is the word that comes to your mind when you see this analogue wristwatch from Fossil. Simple in design, it has a silver round dial shape along with a stainless steel strap that makes it an ideal choice to accessories your favorite casual outfit. Its bezel features stone embellishments that make it effortlessly stylish. 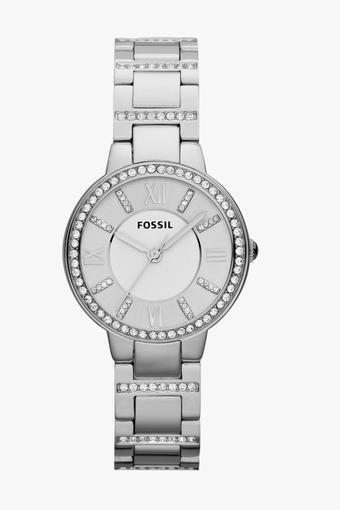 This adorable analogue watch from Fossil is sure to pep up your look. There is a unique appeal to the whole look and feel of this distinctive piece of art that's bound to set your heart a flutter.